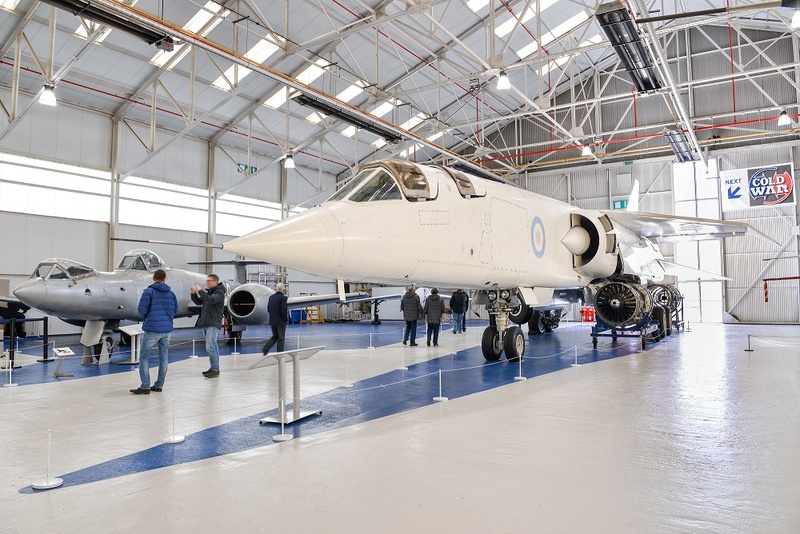 The event which has celebrated the Royal Air Force Centenary throughout 2018 at both its Cosford and London sites has given ticket holders exclusive access to 100 aircraft and vehicles, spanning the service’s entire career. The series of events concludes at Cosford in December, themed around aircraft and vehicles from the Museum’s Test Flight and War in the Air collection. 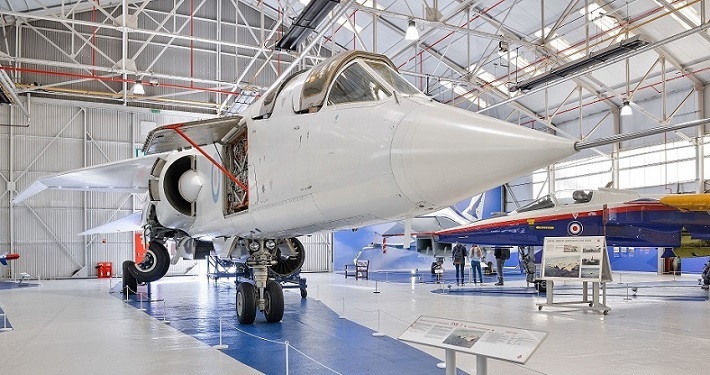 From the Test Flight collection and for the first time ever, visitors can enjoy on-board access to the British Aircraft Corporation TSR2, the only complete airframe remaining and one of only two examples in the world. Although never developed beyond the prototype stage, the TSR2 was one of the most exciting and controversial British combat aircraft designs of the 1960s. The increasing sophistication of air defence systems led the RAF to consider the procurement of a high speed, low level strike and reconnaissance aircraft to replace the English Electric Canberra. Christened the TSR2 (Tactical Strike and Reconnaissance Mach 2), eleven prototypes were ordered in October 1960, with the first maiden flight in September 1964. Initial reports indicated that the TSR2 was an outstanding technical success, however, political opposition to the project led to it being cancelled by April the following year. The cancellation of the project is a subject of great debate to this day. Other Test Flight aircraft and vehicles open on the night include the sole example British Aerospace Experimental Aircraft Programme (EAP) (close view only). 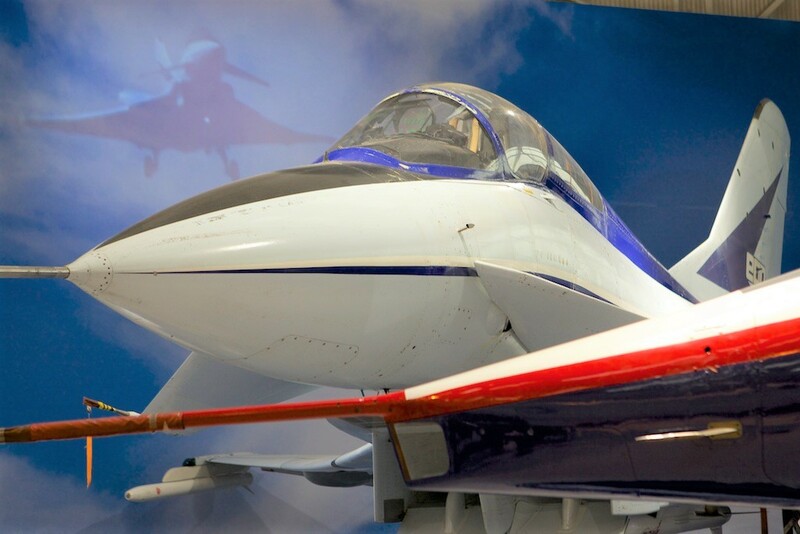 Built as an advanced technology demonstrator, many of the features pioneered by EAP, including the wing layout, were later refined for the Eurofighter Typhoon, in service with the RAF today. Also included in the event is the Bristol Type 188, Short Brothers SB5 WG768 (close view only) and the Hunting H126. 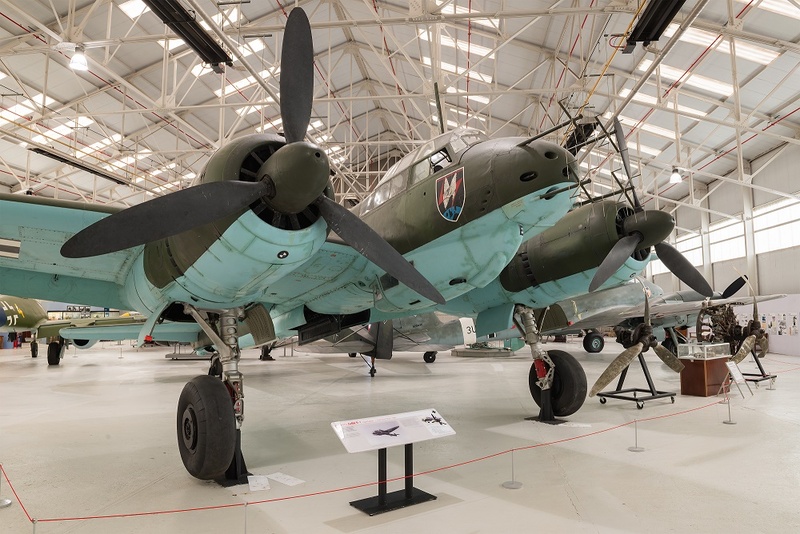 The event theme also extends to include a selection of the Museum’s War in the Air aircraft and vehicles and for the first time ever the Junkers Ju 88R-1 will be open for close viewing. The Ju 88 was the most versatile German combat aircraft of WWII, beginning life as a bomber, before becoming a night fighter and intruder. The type also undertook anti-shipping operations and flew long-range reconnaissance missions as well. It was during the Battle of Britain, that Ju 88’s played a major role in a number of daylight actions against British radar stations, airfields and ports. The aircraft was reasonably maneuverable for its size, and could take a great deal of punishment, however its lack of armored protection and insufficient defensive armament meant that it was relatively easy prey for British fighters. 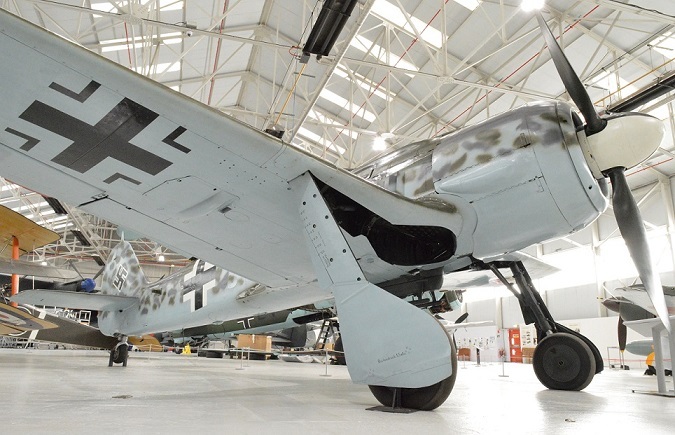 At the time of the Battle of Britain, the Ju88 was at the beginning of its service career and its remarkable adaptability, particularly as a night fighter, had still to be exploited by the Luftwaffe. 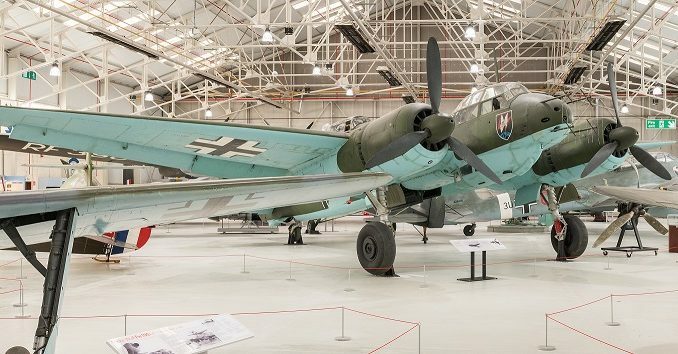 Also open on the night in War in the Air hangar will be fellow German fighter the Focke Wulf FW190A-8/R6, the Hawker Hurricane IIc (close view only), Sopwith Pup (close view only), Boulton Paul Defiant Mk1 (close view only), Crossley Ptn 1940 and the Museum’s latest arrival the Hawker Siddeley Harrier GR3. To ensure visitors get the most out of the event, there will be a large team of Volunteers manning each aircraft or vehicle who will be available to answer any questions. A total of 300 tickets are available for the event taking place on Saturday 7 December and aviation fans will have up to three hours to enjoy the exclusive after-hours access from 6pm-9pm. The Museum will close at 4pm, however the Visitor Centre and Refuel Restaurant will remain open for ticket holders, before doors to the aircraft and vehicles open at 6pm. Plus, visitors can also enjoy perusing the Museum Shop from 4.30pm and take advantage of their 10% off discount voucher! Tickets are now available to purchase through the Museum’s website www.rafmuseum.org/cosford and cost £13.50 per person which includes parking (minimum height restrictions apply).